From 6th April 2017, Lydia Watt will be joining us. 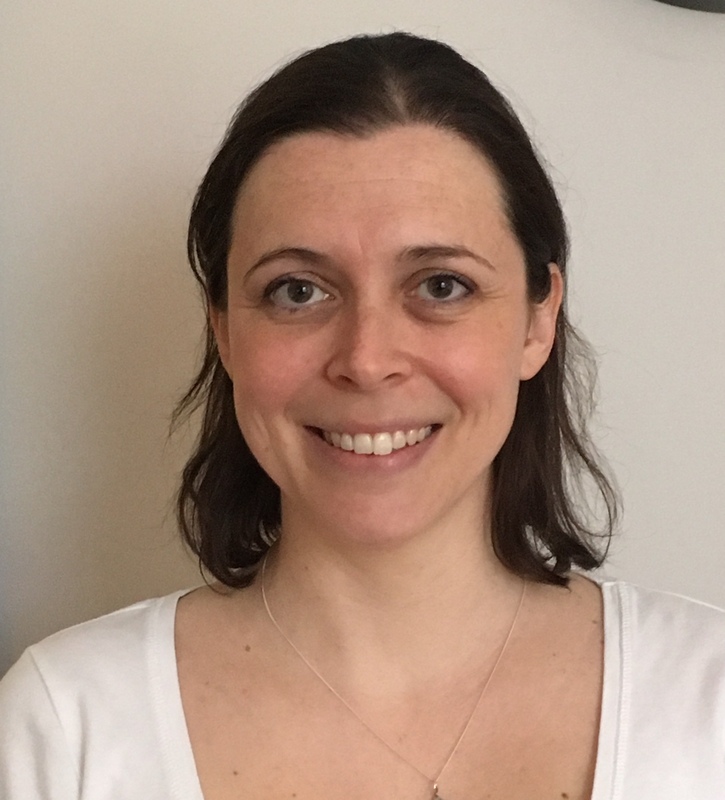 She is a Physiotherapist specialising in Acupuncture with a special interest and experience in dealing with Multiple Sclerosis (MS) and Fatigue. You can see Lydias’ availability and book a session with her using the Book button. From January 2016, Dr Liza Morton will be joining the team. Liza is a Chartered Counselling Psychologist and will be at the clinic on Mondays and Tuesdays each week . Read more about Liza and Counselling Psychology here. 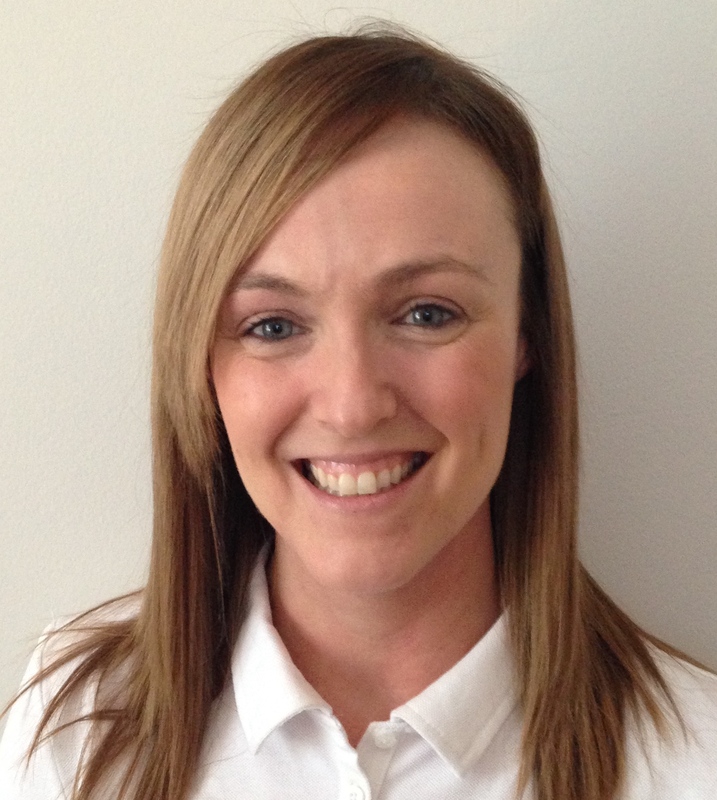 From March 2015 we welcome Claire Spence to the team. Claire brings Kinetic Chain Release Therapy (KCR) for the first time to One Allan Park Wellbeing Clinic. We are running 2 blocks of Mindfulness classes starting 21st or 22nd February 2015. Weekly classes on either Saturday or Sunday afternoon. Contact Britta Schuessler directly for more information of the course content etc : 07801 413 442. 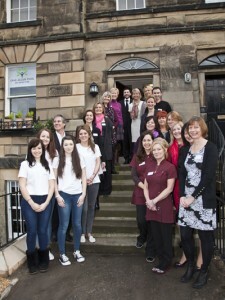 Join us at the Yoga Tree Studios on Saturday 24th January 2015 for the Stirling Health Fair Day. 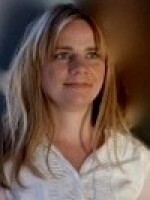 Britta Schuessler will be giving a brief talk on “Mindfulness” at 1pm. November 2013….Well, we are definitely open for business now !! 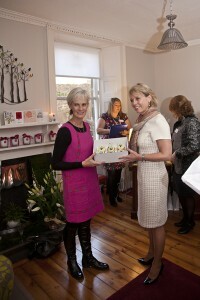 Judy Murray (Andy and Jamie’s Mum!) 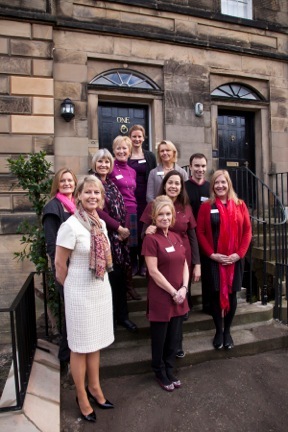 cut the ribbon on Saturday 30th November 2013 , joined us for a glass of Prosecco and then met each of our team of Therapists. What a lovely lady, so engaging and interested in what we are doing here at the Clinic. 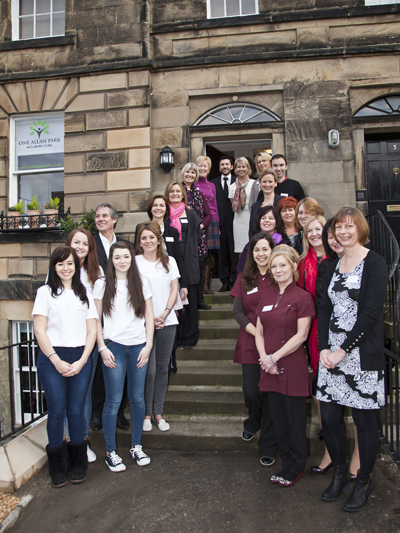 Judy Murray at One Allan Park Wellbeing Clinic, Stirling, FK 8 2QG. on 30th November 2013.